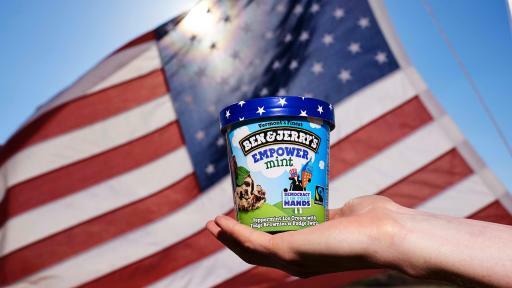 I scream, you scream, we all scream… for voting rights. 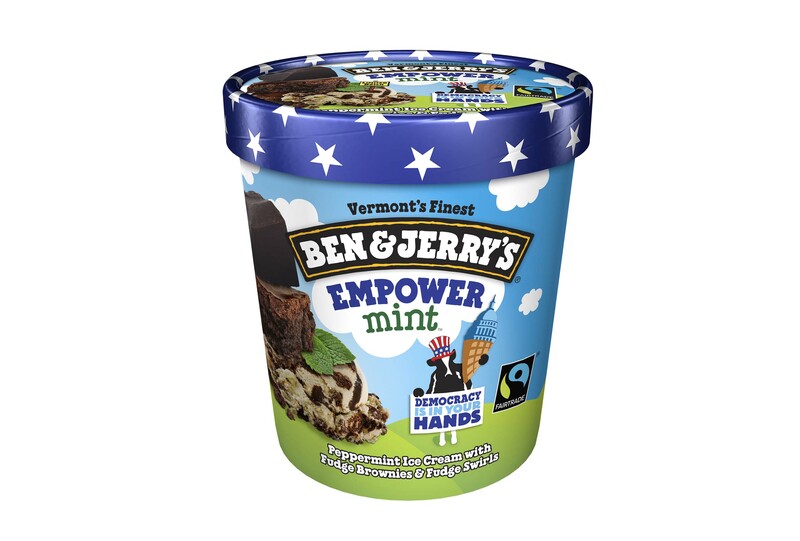 Ben & Jerry’s, the ice cream maker known for its progressive values and fun as much as their chunk and swirl laden ice cream, is back at it again. 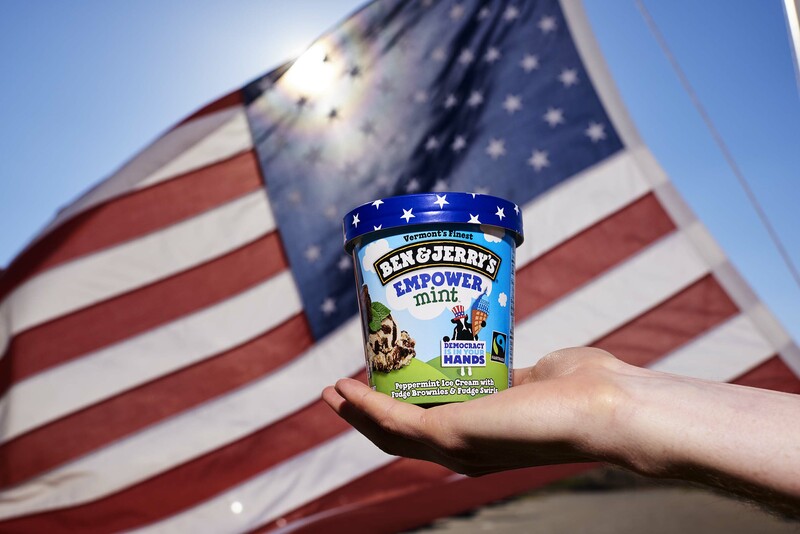 The company, which has never shied away from controversy, is tackling a not so new challenge: the nation’s democracy. 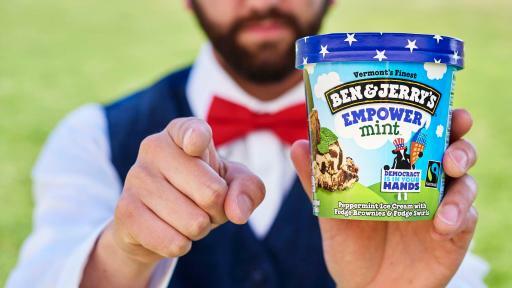 The company chose North Carolina to launch its newest flavor and “Democracy Is In Your Hands’ campaign because it is at the epicenter of the fight for voting rights in the United States. Almost immediately following the 2013 Supreme Court decision invalidating a critical section of the Voting Rights Act of 1965, North Carolina passed a package restrictive voting policies that disproportionately impact black, Hispanic, and younger voters. 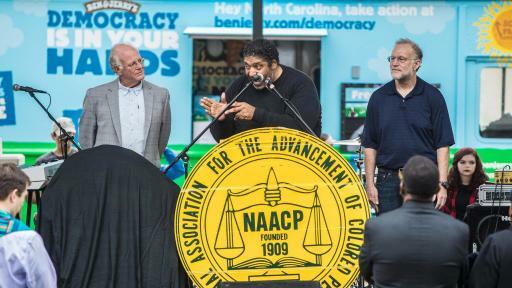 “We’re here today with Reverend Barber and many others to stand up for the right to participate in our democracy, a right that so many people fought and died for. 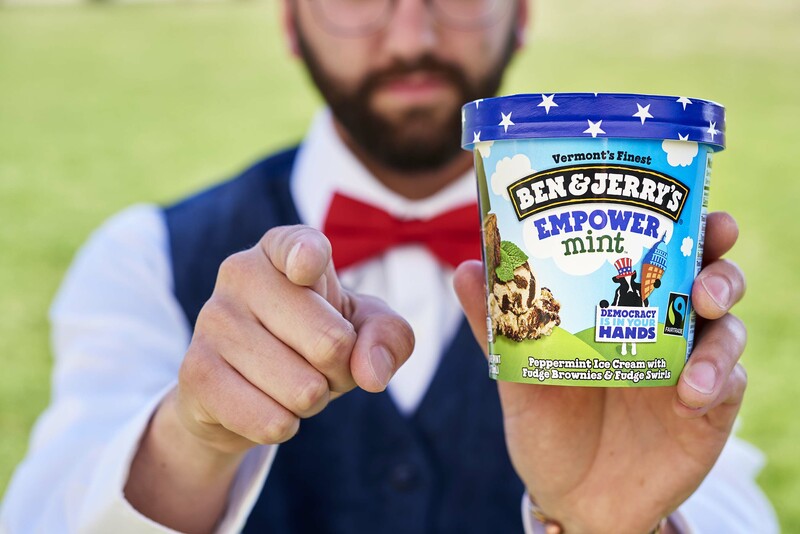 Since our country’s inception, many brave Americans have battled to expand voting rights and voter access for African Americans, for women, and young people, but the recent passage of restrictive policies in North Carolina takes our country backwards,’ said Ben Cohen, Cofounder of the ice cream company. 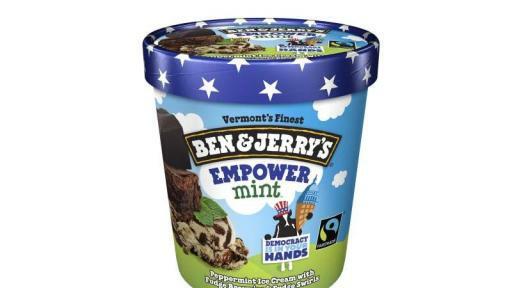 Just two weeks before launching this their newest flavor, Ben Cohen and Jerry Greenfield were proud to join Reverend Barber and hundreds of other civil rights, environmentalists, union leaders, and money out of politics advocates in taking direct action at the Capitol in Washington, DC as part of the Democracy Awakens mobilization. 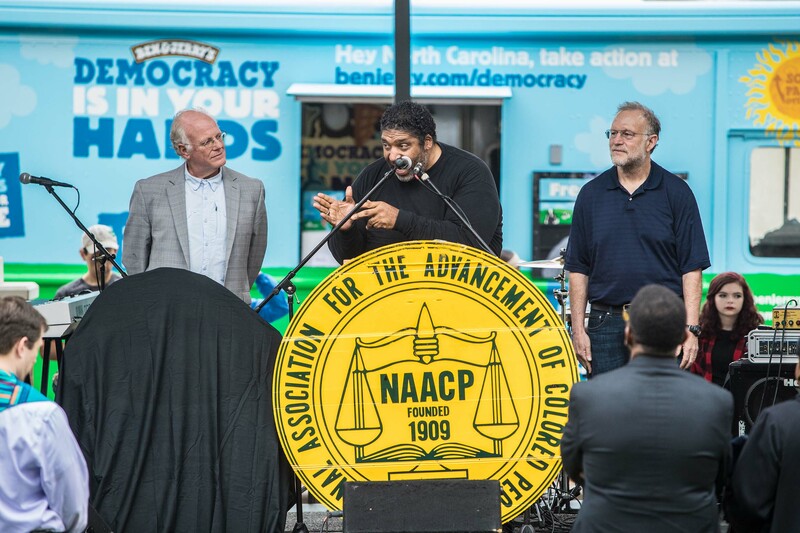 Cohen and Greenfield were arrested in an act of non-violent civil disobedience with Reverend Barber and hundreds of others activists who called on elected leaders to defend the rights of all voters and get big money out of the political system.